The first of two public meetings to discuss plans to restore the Cinder Track is taking place at Scarborough's Town Hall tonight. Horse riders, cyclists and ramblers have been invited to take part to share their views on the latest plans, which involve works to resurface the route, improve signage and safeguard wildlife. 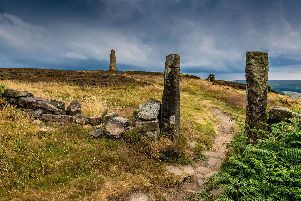 The 22 mile track connecting Whitby to Scarborough through Robin Hoods Bay and Ravenscar has suffered from a lack of maintenance for years and is now in poor condition. Scarborough Borough Council, which owns the path, has committed to its protection and development both as a recreational and commuting route. Both evidence days will be held at 6.30 on Tuesday and Thursday.